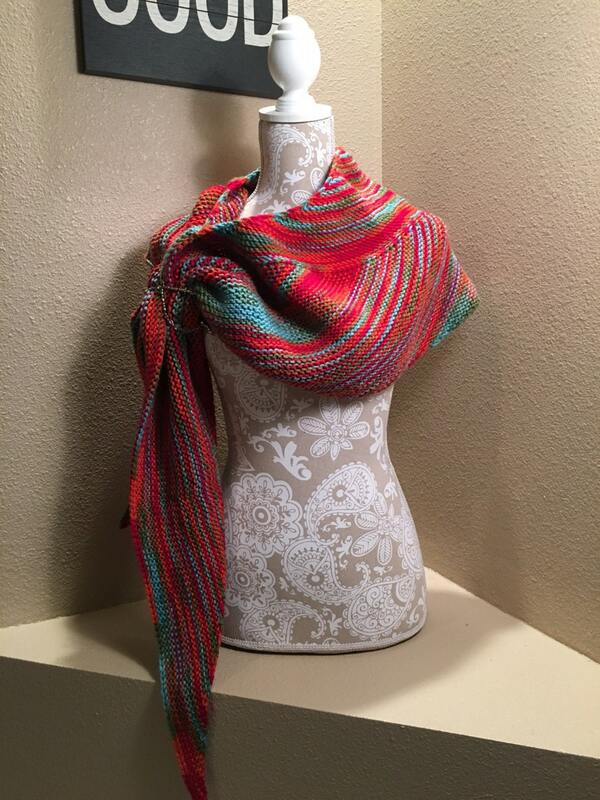 This beautiful shawl is knit on the All-N-One loom using approximately 560 yards of a worsted weight yarn. 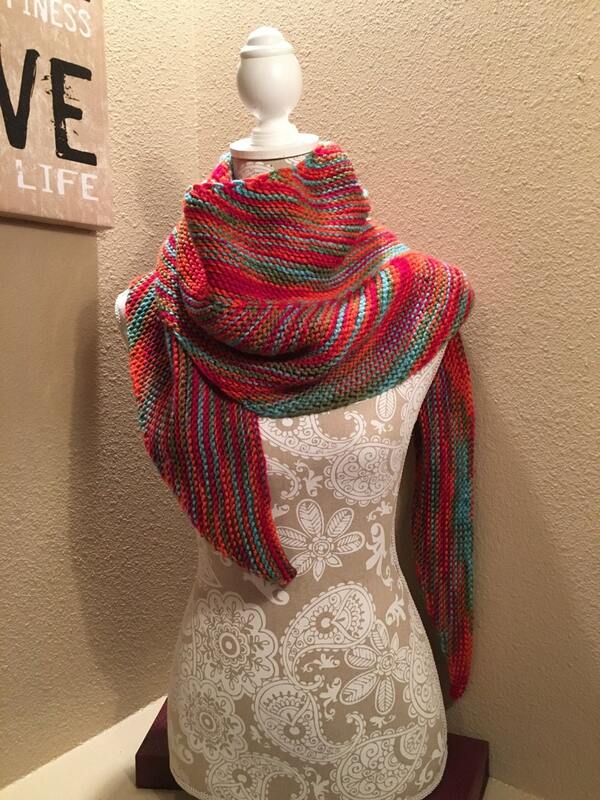 The yarn used in this sample was Red Heart with Love in the Fruit Punch color way. 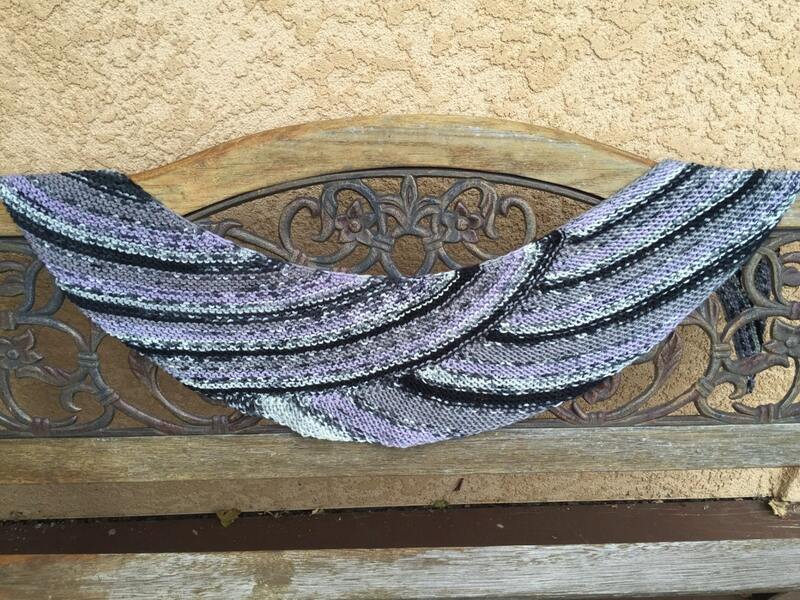 The Bird of Paradise Shawl is knit on the bias using the techniques of modular knitting. The pattern has 2 sections. Each section has a 2 row repeat. Boom! That's it. 4 rows to master this shawl. and the Modular Knitting Technique used to create this shawl. 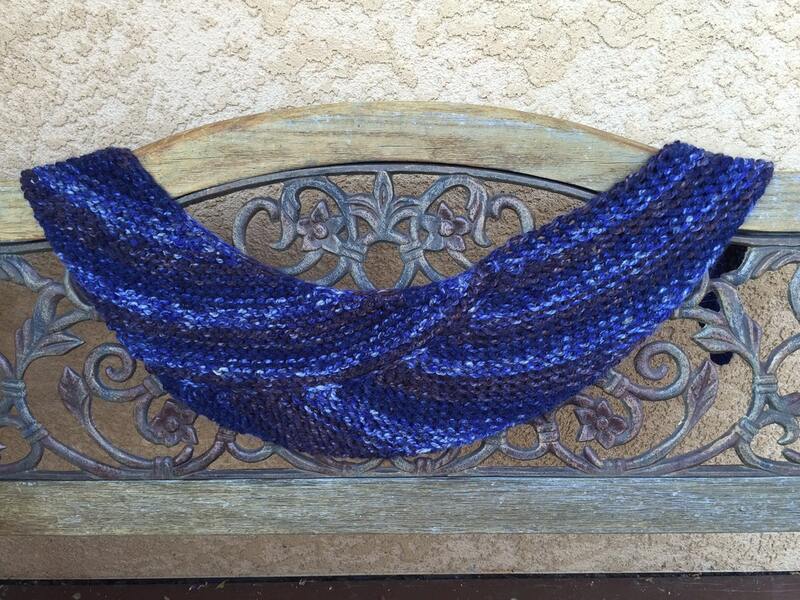 As an added bonus, the pattern includes instructions for a variation on a 41-peg Knifty Knitter round loom using a bulky weight yarn to make a beautiful Bird of Paradise scarf. The beauty of this pattern is that you can knit this design on any size loom with any weight yarn. You simply knit away on Section 1 until you've used half of your yarn and then start on Section 2.